The University of California Student Association passed a resolution at its Sunday meeting calling for the UC Board of Regents to divest from corporations allegedly violating Palestinian human rights. The resolution called for divestment from a number of companies — including General Electric, Boeing and Hewlett-Packard — that have been accused of enabling or profiting from ongoing conflict between Israel and Palestine. 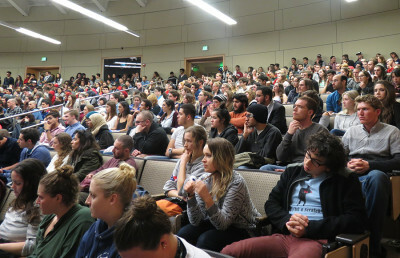 The Daily Bruin reported that the issue was met with lengthy public input, including a chant led by a pro-Israel crowd of about 75 people. Avinoam Baral, president of UCLA’s undergraduate student government, spoke during public comment in opposition to the measure. Baral added that although he supports the university making ethical investments, the resolution does not appear to contribute to the goal of improving the “accessibility, affordability and the quality of UC education,” which is what he understands to be the association’s mission. 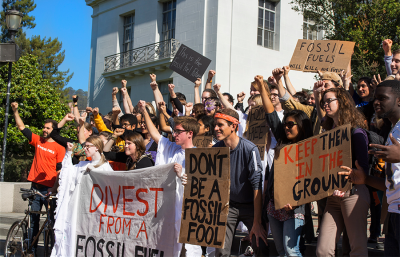 Already, several student governments have passed similar divestment bills. Last month, UC Davis’ student senate passed a resolution urging the UC regents to divest from corporations supporting the Israeli occupation of Palestine. In 2013, the ASUC Senate voted to pass a similar bill, deciding to divest funds from companies associated with Israel’s military. UCLA’s undergraduate student government voted to take similar action in November, and in December, members of United Auto Workers Local 2865, a labor union representing student employees in the UC system, voted to pass a measure calling for both the university and union to divest from companies with ties to the Israeli military. At the same meeting, which was held at UCLA, the association also passed a resolution in favor of divesting from governments accused of human rights violations, including Brazil, Russia, Turkey, Indonesia and the United States.